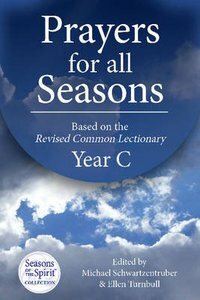 Prayers for All Seasons, Year C, offers a selection of prayers that complement the readings from Year C of the Revised Common Lectionary. Compiled from Seasons of the Spirit one of North Americas most popular and enduring lectionary-based Christian education curricula, embraced by thousands of congregations around the world the weekly prayers in this collection can be used in various ways and at various times during worship, including the call to worship, gathering, confession, offering, sending forth, and blessing. The collection also features a variety of prayer formats. Prayers for All Seasons contains an entire years worth of prayers. Use it every week, or dip into it as needed. About "Prayers For All Seasons (Year C)"